Braided from low-sulphur expanded graphite yarns, which are reinforced by cotton or glass fiber. It has a very low friction, does not damage shafts or stems. 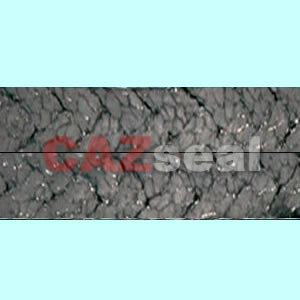 It shows good thermal and chemical resistance and high elasticity. 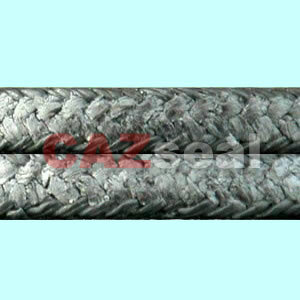 Braided from low-sulphur expanded graphite yarns, reinforced with Inconel wire. 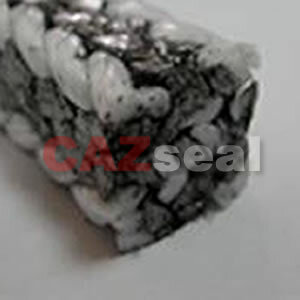 It retains all the inherent benefits of CAZ-240 pure graphite packing, good thermal and chemical resistance, very low friction, the wire reinforcement also provides greater mechanical strength, Normal for valve with high pressure. 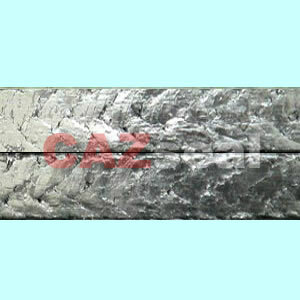 Other metal materials, nickel, stainless steel etc. on request. 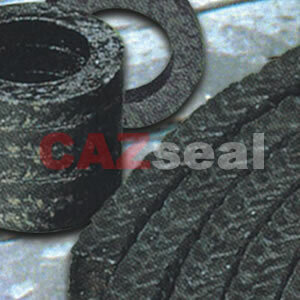 Made of expanded flexible graphite, which are reinforced by textile fibers, with PTFE impregnation. Compared to traditional graphite packing, it has excellent cross-section tightness, structural strength and very low friction-value, wear resistant, yet gentle to shaft and stem. PTFE corners effectively prevent graphite extrusion, this packing contains the advantage of PTFE and graphite. 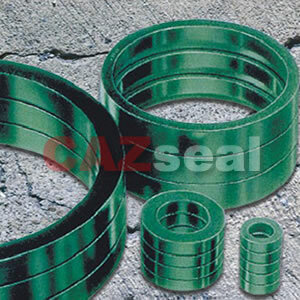 Graphited PTFE corner CAZ-G240 is also efficient. Diagonally braided from expanded flexible graphite, reinforced at the corners throughout with high quality carbon fiber. This corners and body make it three times more resistant to extrusion and also increase the pressure handing capabilities compared to 240. 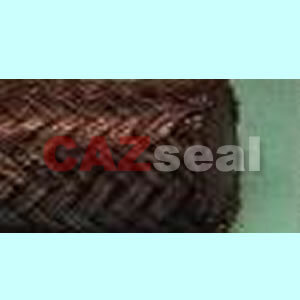 Braided from low-sulphur expanded graphite yarns with corrosion inhibitor, reinforced with Inconel wire. Each yarn is round braided with Inconel mesh again. The exclusive packing is formable, yet tough. Rated in steam service 550bar, maintains integrity in steam up to 850��C. It is a cost-effective as well as a confident choice. 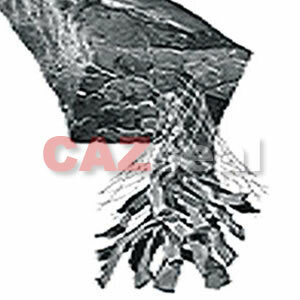 CAZ die formed ring are made of low-sulphur expanded graphite without any fillers or binders. They are compressed in precise moulding tools to the required density. Due to the high purity of the material (>98%), no special corrosion protection is required. In general, it has square section and also has V-shaped and wedge-shaped section, the rear two kinds style are suitable for high pressure sealing.